In the kerfuffle surrounding the Liberal government’s deeply contested proposals to reform the tax system, possibly no number has loomed larger than 73 per cent. In the kerfuffle surrounding the Liberal government's deeply contested proposals to reform the tax system, possibly no number has loomed larger than 73 per cent. It is a figure that perhaps reached its political zenith last week when Pierre Poilievre, the Conservative finance critic, used a pizza to explain that an Ottawa pizza shop owner would soon be turning over three-quarters of his investment income to the federal government. 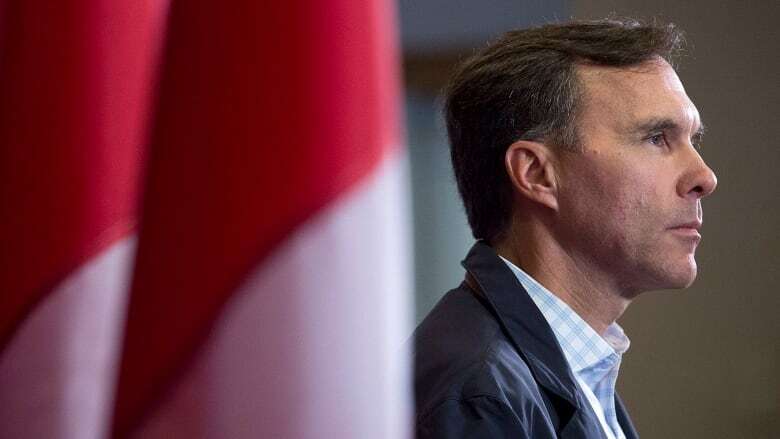 What was announced by Finance Minister Bill Morneau on July 18 as a consultation on "next steps in improving fairness in the tax system" was thus — two months later — reduced to a single number. And illustrated with pizza. In an ideal world, a debate about tax reform would probably not go like this. The Conservatives have expended great effort towards branding the number 73 on the government's proposed reforms. "The average small business owner earns about $73,000 a year," Pierre Poilievre, the Conservative finance critic, told the House of Commons last Monday. "When they save money for a rainy day or their retirement, they will be taxed at a rate of 73 per cent on their investment income as a result." Poilievre and his fellow Conservatives invoked the figure another 28 times in the House last week, applying it to an apple farmer in New Brunswick and a welder in Alberta, among other presumably middle-class individuals. Specifically, it relates to "passive investment" within a private corporation, one of three issues the Liberals propose to address. Under the Liberal proposals, 73 per cent could be the effective tax rate that applies to the interest on money saved within a private corporation. A calculation posted online by Poilievre — based on an analysis by Jay Goodis, an Ontario accountant — pegs that as a 17-point increase over the current rate of 56 per cent. But those figures are based on someone earning more than $220,000 in Ontario, the province's highest tax bracket. Across provinces, the effective top rate would vary slightly, from 70 per cent to 74 per cent. Moving down the tax brackets in Ontario, the effective rate would gradually fall, from 72 per cent to 50 per cent. According to Allan Lanthier, a retired accountant and former chair of the Canadian Tax Federation, someone earning $73,000 would have their investment income taxed at a rate of 58.8 per cent upon withdrawal. There is also an argument that the idea of 73 per cent looks at the problem the wrong way. Kevin Milligan, an economist at the University of British Columbia, argues that a better accounting would consider the lower rate at which business income is taxed in the first place. That's the advantage the Liberals want to counter. And once that rate is taken into account, Milligan has estimated, an individual who incorporates would simply face the same rate as someone who has not incorporated. But Lanthier and Goodis also estimate that those in lower tax brackets would actually experience proportionally higher tax increases under the Liberal proposals. In other words, even if critics weren't focusing on 73 per cent, they might have support to complain about other numbers. To that, Milligan argues that passive income is not an issue for the vast majority of middle-income earners. Almost all middle-income earners, he says, would be better off saving outside a corporation. But Goodis counters that it's not that simple for small business owners. Critics have argued, loudly, that small business owners deal with risk and uncertainty that separates them from typical taxpayers. But amid all these soundbites, tax-planning theories and pizza analogies, it is easy to forget what issue Trudeau and Morneau are supposed to be addressing: that a growing number of people are — in Morneau's words on July 18 — "essentially using a private corporation as a tax advantaged personal savings account." But there are other ways to address that issue, says Lindsay Tedds, an economist at the University of Victoria. The problem, she says, is that the finance department's consultation document did a poor job of documenting the problem and conveying it to the public. "Had they first focused on the problem rather than their proposed solutions we would likely be having a much saner and more productive conversation." Late last week, Lanthier circulated his own proposal: "a special, refundable tax of 25 to 30 per cent for professional income earned within a private corporation for medical doctors, lawyers and accountants, unless the business employs the equivalent of, say, at least three to five full-time employees." The Liberals are insistent that this is about the "wealthy." But it's professional incomes that Lanthier figures is the source of the problem. So skip all other small businesses and focus on the doctors, lawyers and accountants that are incorporating, he says. That would, at the very least, take pizza out of the debate and force critics to find another analogy.